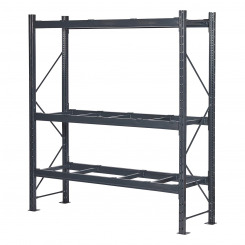 We get your warehouse started with our complete set of stock shelving system. 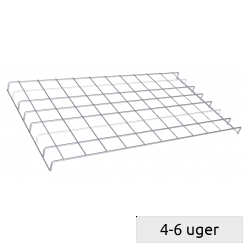 Our selection of high rack set is suitable for every kind of storing issue: in warehouses, production facilities, private garages, but also it fits car service stations, archives, libraries and much more. 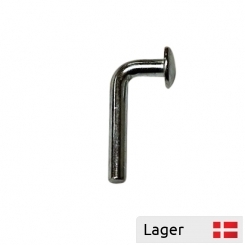 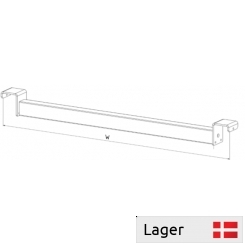 We have a wide range of accessories to suit your high rack to your needs. 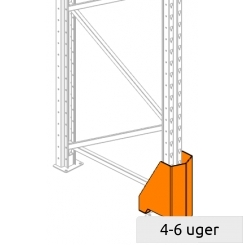 The diversity of shelving elements allows you to customize your personal racks to the architecture of your business areas. 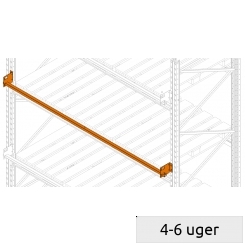 Thus rooms with different hights can be turned into useful storage units. 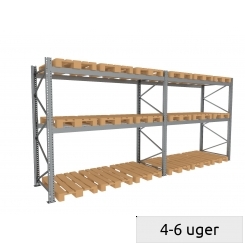 High rack system offers solutions for both sales space and storaging of your goods. 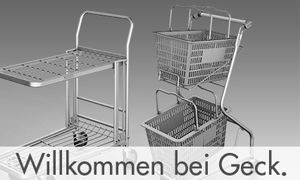 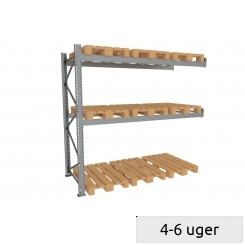 We offer complete sets for storaging piece-goods - Mini rack, as well as storing goods on pallets - Pallet rack. 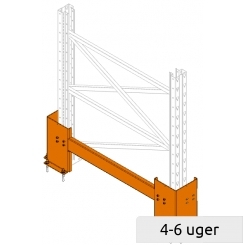 Components of a high rack system include high rack frames and beams. 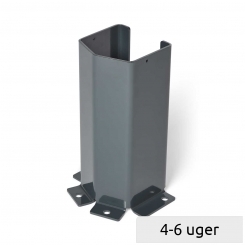 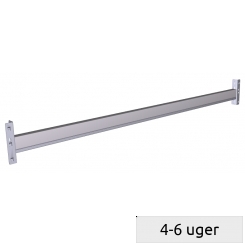 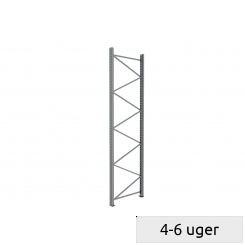 The frames for mini racks are available in height 2m, 2.5m and 3m. 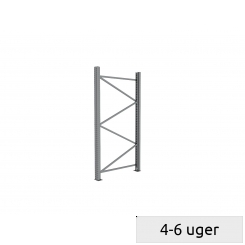 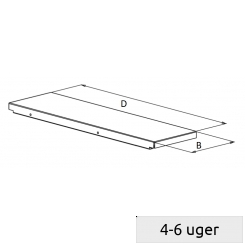 The frames for pallet rack are found in height 3m, 3.5m and 4 m. Depth ranges from 600 to 1100 mm. 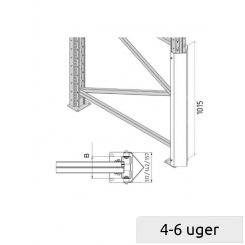 The beams are available in different lengths, from 1220 to 3600 mm. 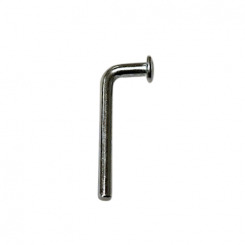 All high rack frame elements are binded with bolts among themselves. 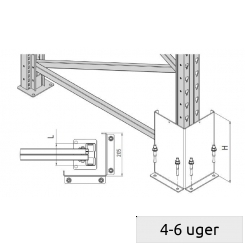 High rack frames are supplied as disassembled elements. 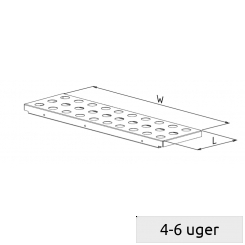 205 x 205 x 350 mm. 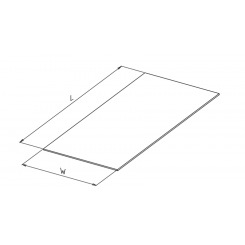 B 80 x H 350 mm - B 120 x H 350.